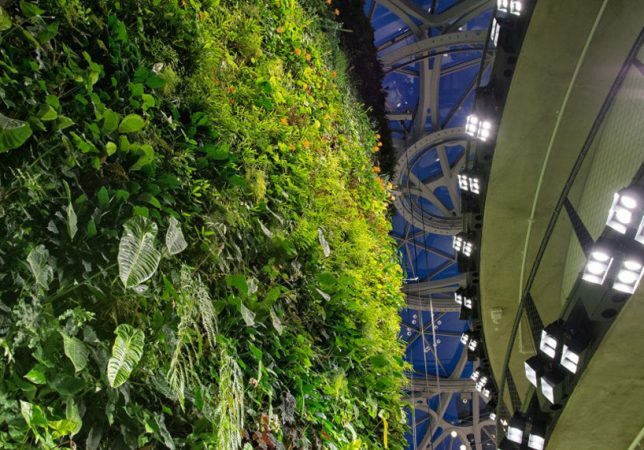 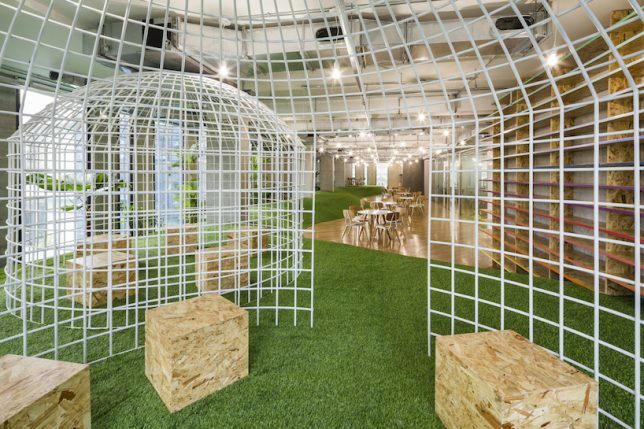 Not every office environment can be a multi-billion-dollar geodesic conservatory filled with tens of thousands of tropical plants, but there are lots of different ways to make boring workspaces more livable with the power of vegetation. 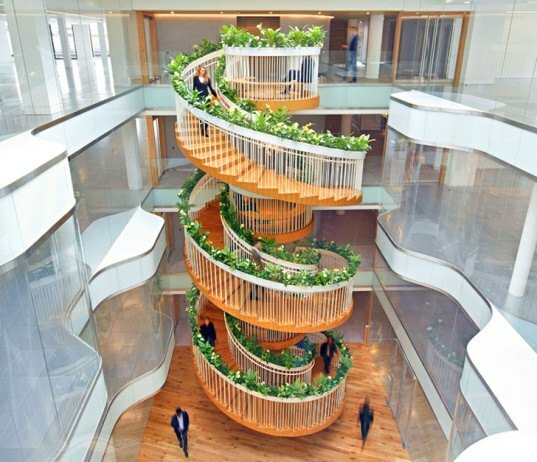 These office interiors go way beyond bringing in a few houseplants to improve the air quality, incorporating planters into sculptural desks and spiral staircases, offering park-like grassy hills to sit on or covering virtually every surface with something green. 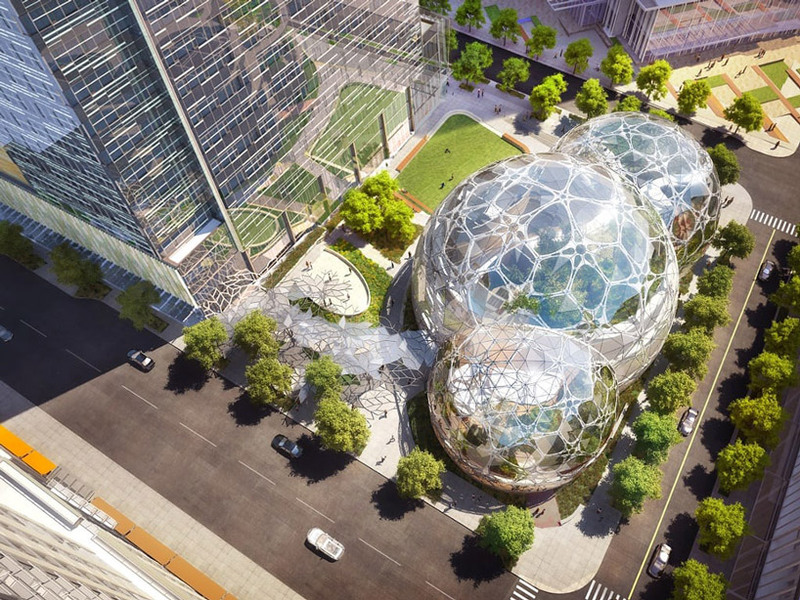 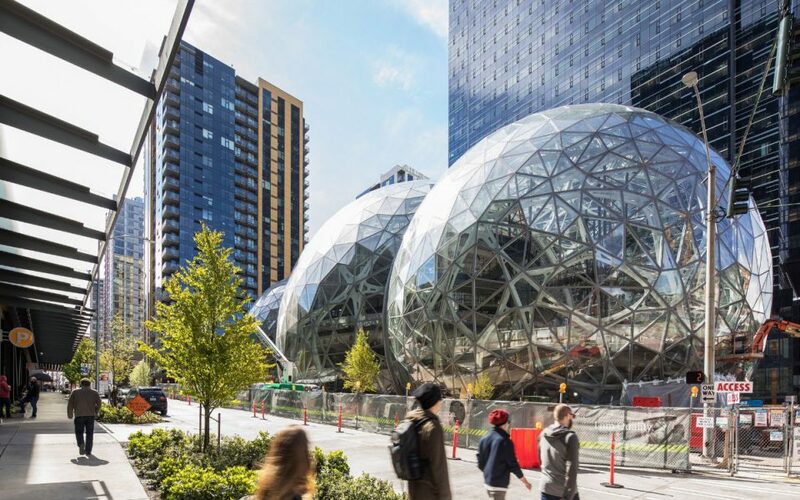 Say what you will about Amazon (and its effect on Seattle), but it’s hard to argue that the new addition to its headquarters by NBBJ is one of the most lush, verdant office environments ever created. 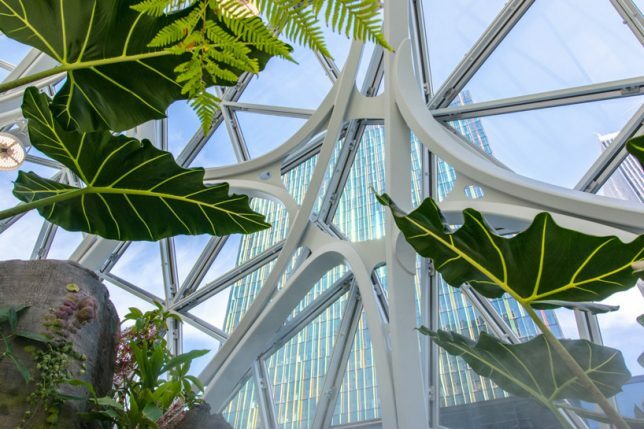 Not only do the geodesic structures contain more than 40,000 plants representing 400 species from around the world, including an 18-ton ficus, a 40-foot fern and a huge glass tank full of Amazonian aquatic plants, it offers a highly unusual work environment. 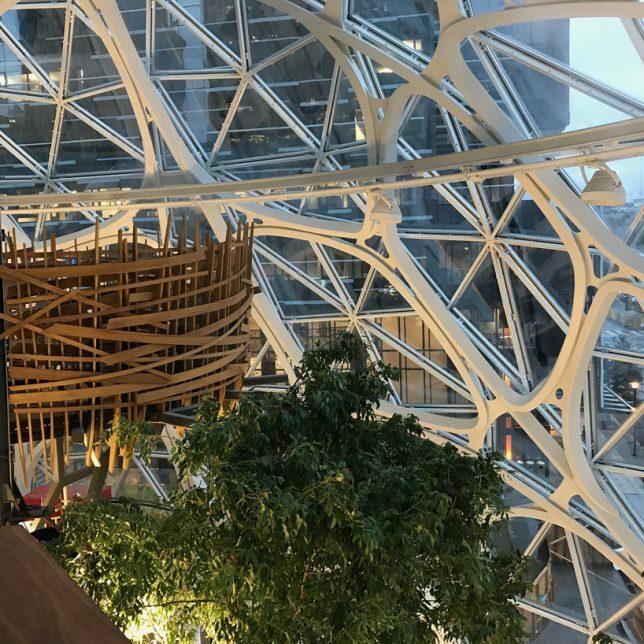 Five levels of workspaces include offices that are open to views of the Sphere interiors, a deck full of recliners and a treehouse meeting space with a suspended bridge. 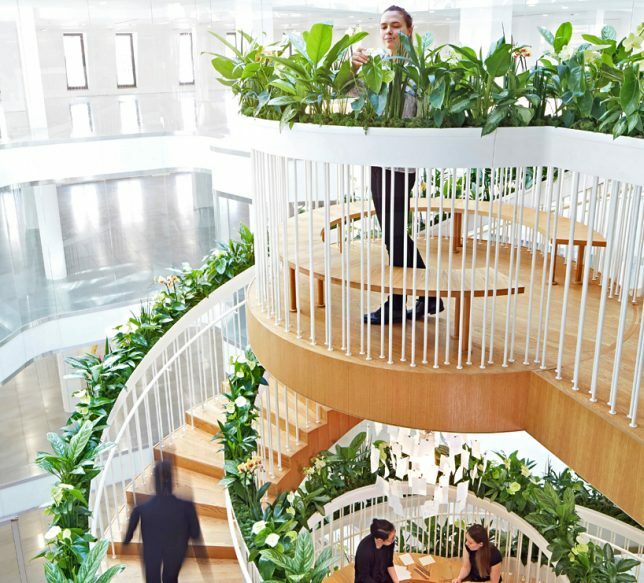 The spiral staircase at the center of the Ampersand office building in London is basically a four-story planter. 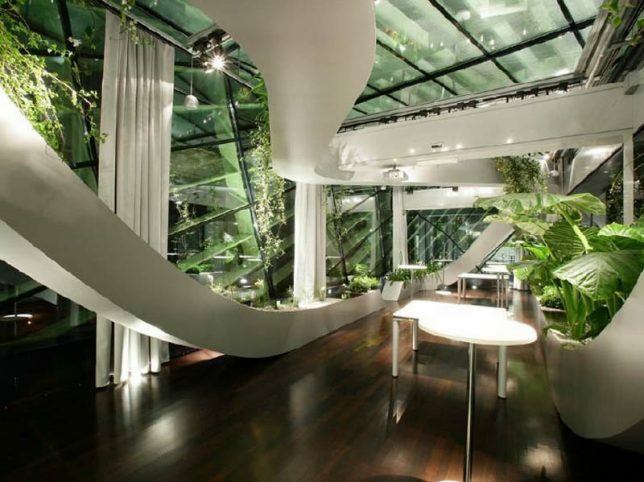 Designed by Paul Cocksedge, the structure transforms what previously felt like a cold and impersonal space. 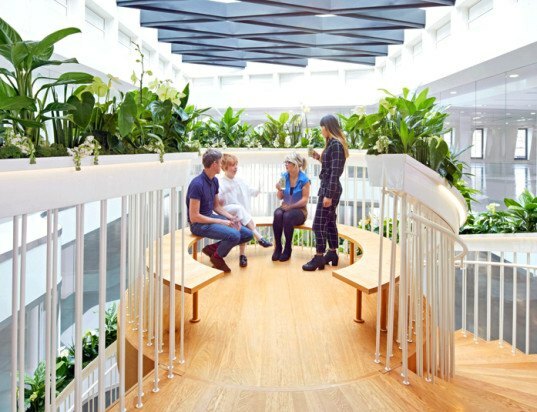 Each of the three circular wooden landings offer bench seating so employees can spend time among the greenery. 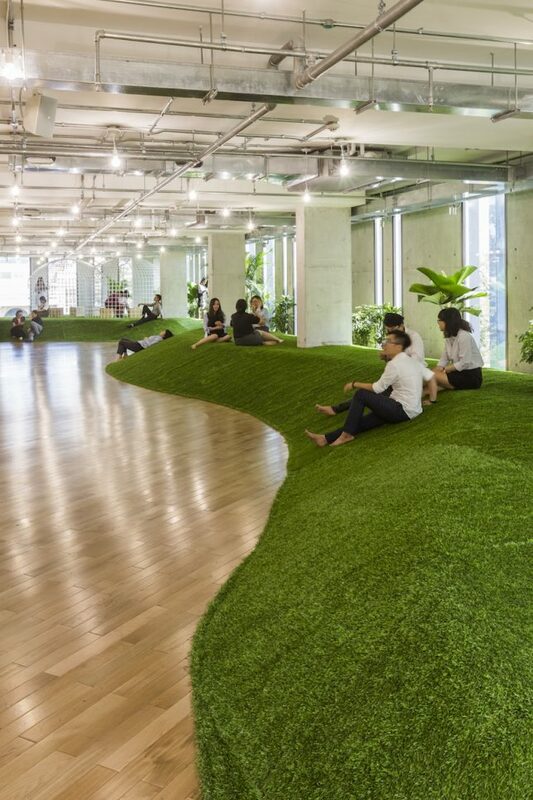 While the occupants of standard office buildings daydream about breaking free of their poorly lit, improperly ventilated cages, employees of this Vietnamese tourist company are basically already working in a park. 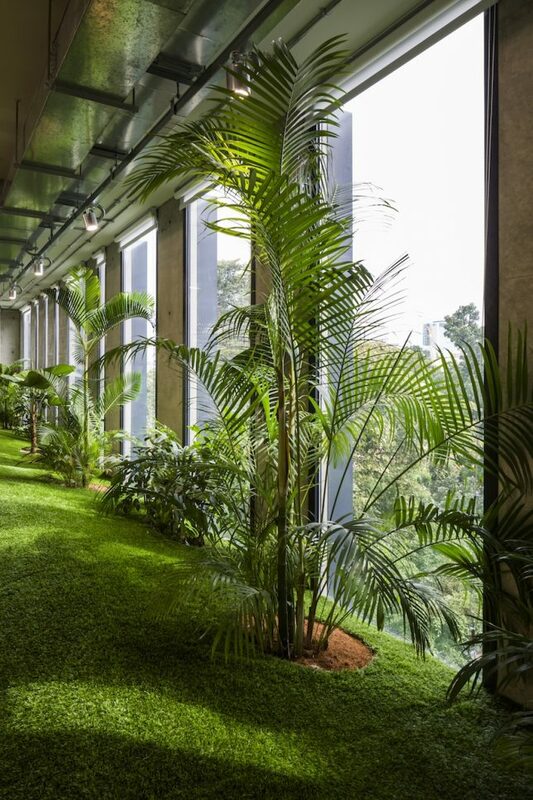 The interiors of these Ho Chi Minh offices are a collaboration between Studio Haps and 07beach, aiming to promote the well-being and stimulate the creativity of its staff. 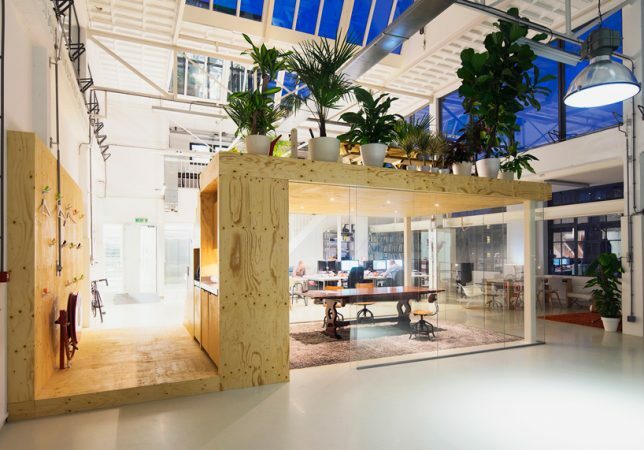 Not everyone has the ability to go big when it comes to livening up their workplaces, but this project by architecture studio Jvantspijker at its own renovated offices show off the impact a smaller project can make. 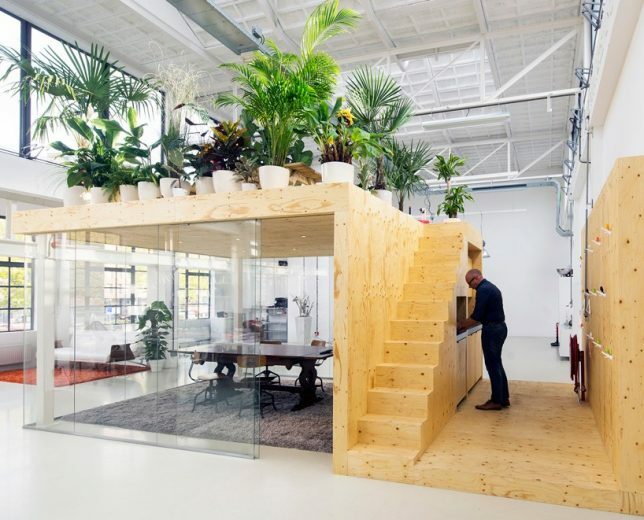 A new volume within the former steam factory offers a glazed meeting space on the first level and an indoor garden on the top, elevated above the workspaces and enjoying views of the sky through the space’s large windows. 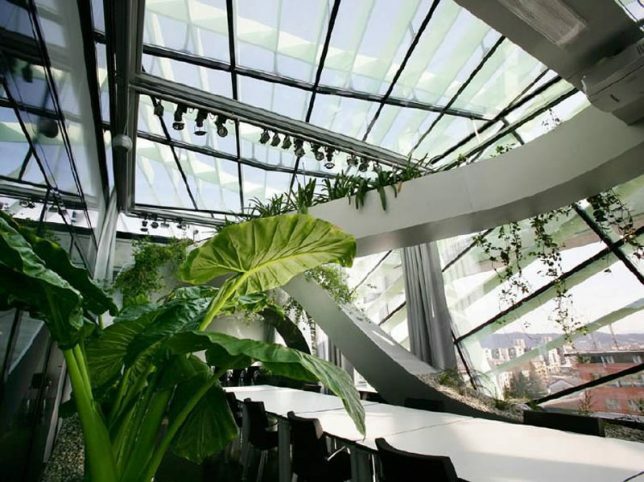 The VIP boardroom in Ljubljana where the Chambers of Commerce and Industry of Slovenia meet is full of swooping white lines carrying vines and other greenery throughout the space. 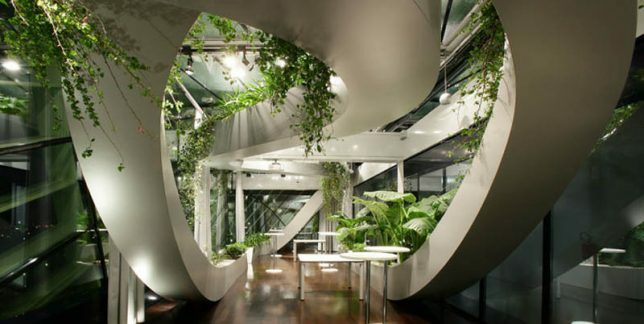 Sadar + Vuga created an interior garden that stays green year-round, supported by a steel ribbon that undulates around the room, complemented by glazed walls and ceilings.